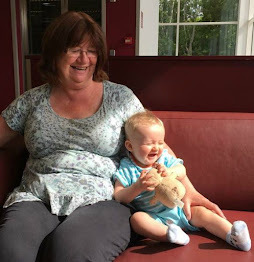 I had a small procedure in hospital yesterday (nothing serious, just zapping my leg for varicose veins) so I was feeling a bit sorry for myself. 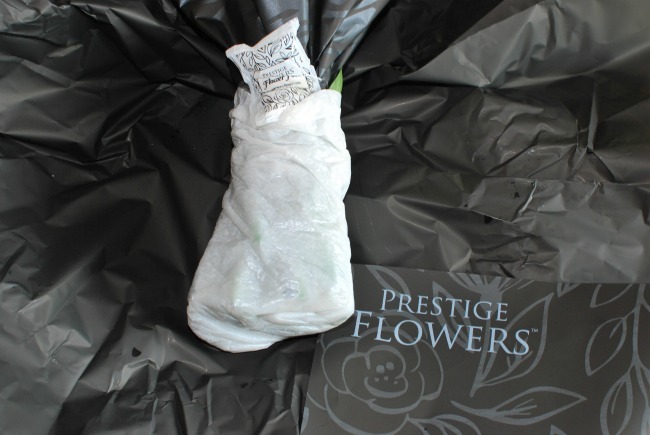 When I arrived home, there waiting for me was a huge box and inside the most gorgeous bouquet* from Prestige Flowers. I love flowers. They just brighten up a room and cheer me up. I often bring flowers into the house from the garden but I am so bad at arranging them. 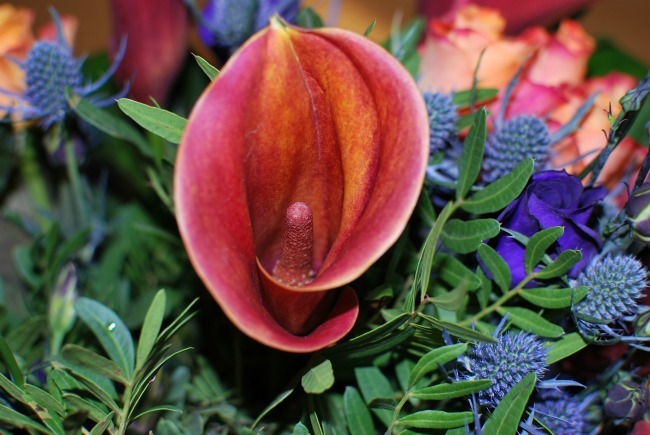 I love receiving bouquets as the arrangements and flowers are chosen by experts and always look so beautiful. 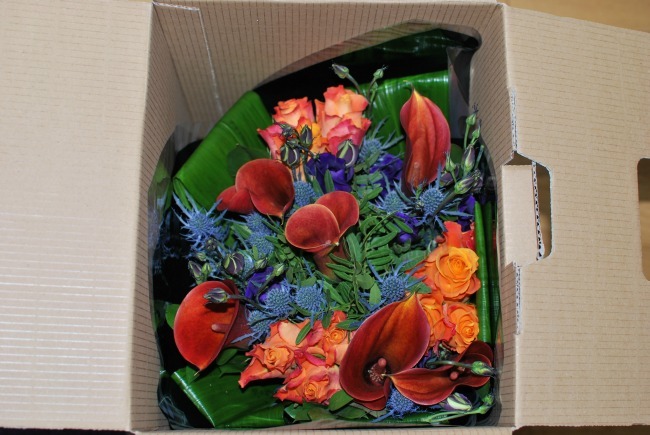 I was sent a bouquet called Tekal, from the luxury range. 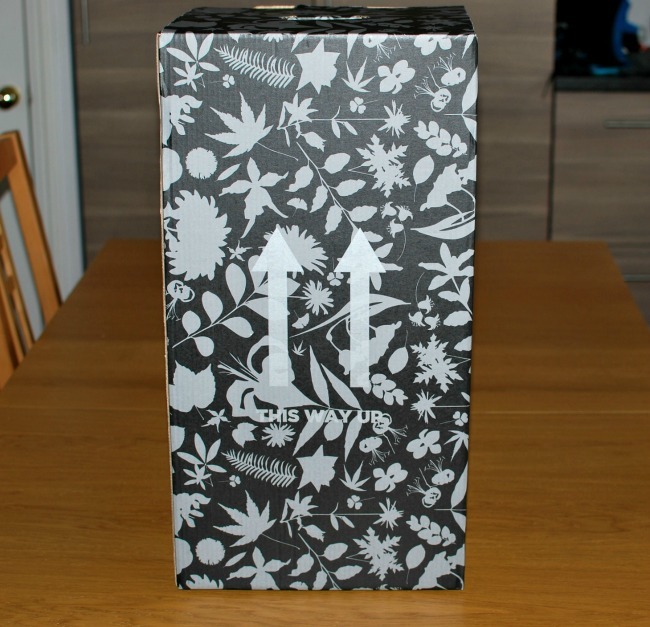 They arrive packed into a big box wrapped in cellophane with a black bag to display them in. 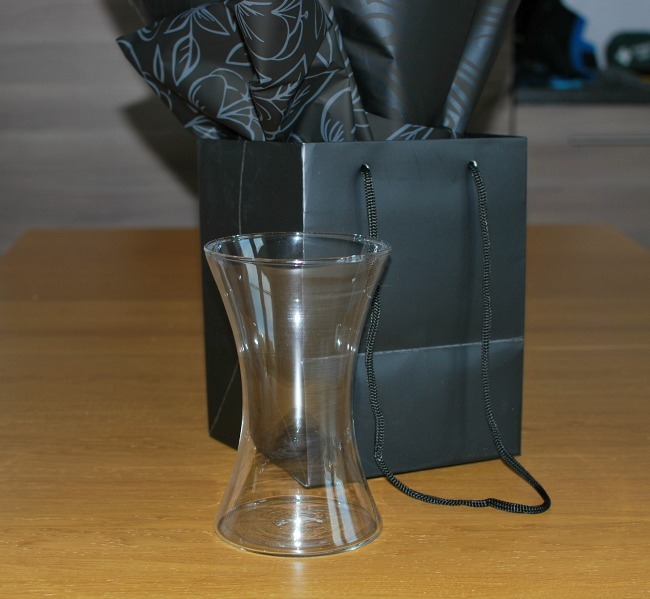 The website says they come with free chocolates, I didn't get any chocolates but I did get a lovely glass vase. This suited me so much better as chocolates would have tempted me away from Slimming World and I have only just got back on track. 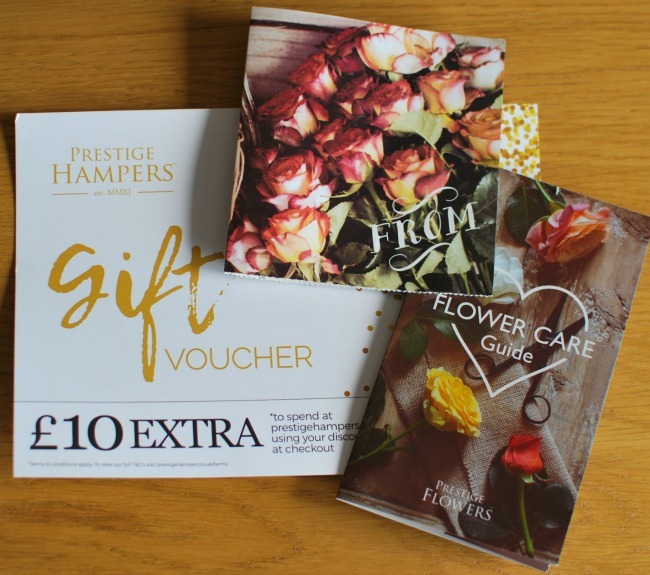 They also come with a greetings card, tips on looking after your flowers and a discount leaflet for wine and Prestige Hampers. Back to the flowers, they are beautiful. Such deep colours. 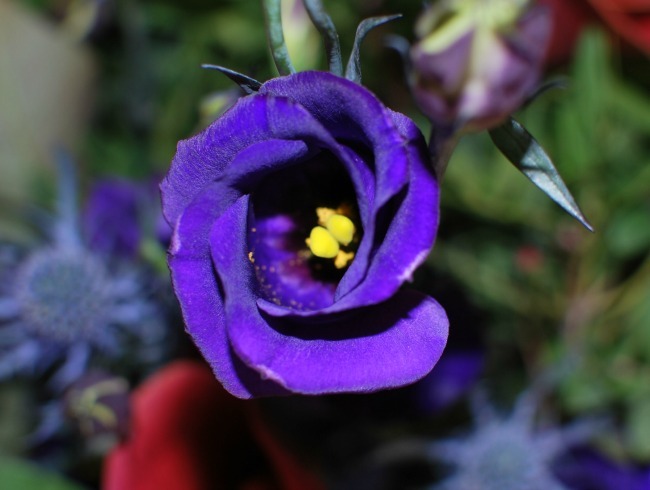 There were roses and calla lilies in a gorgeous mango colour with icy blue thistles and bright blue campanulas. These were all set off with aspidistra leaves and other greenery. 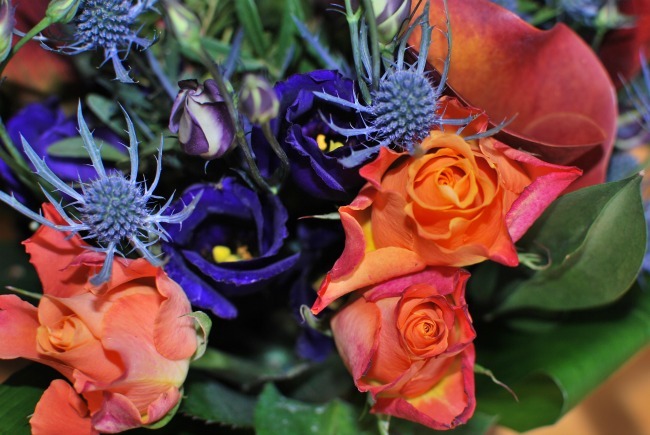 As I said I am not very good at arranging flowers so I carefully removed them from the plastic wrap and the wet padding (that keeps them fresh) and without disturbing the arrangement, I cut off the bottom of the stems. The flowers come with tips and instructions on how to care for your flowers and also a packet of flower food. I filled the vase with the food and water and put the trimmed flowers in. The design of the vase gently swirls the stems so they all hold each other up and the display looks very professional. I love them. They look sophisticated with a touch of luxury. 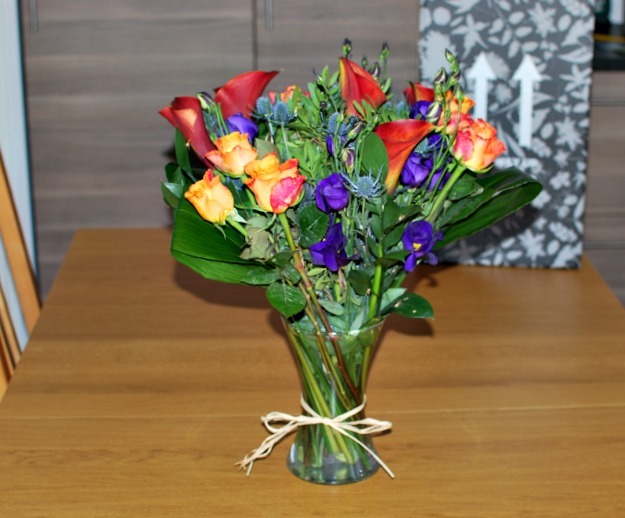 They would be perfect for any occasion and they certainly cheered me up. 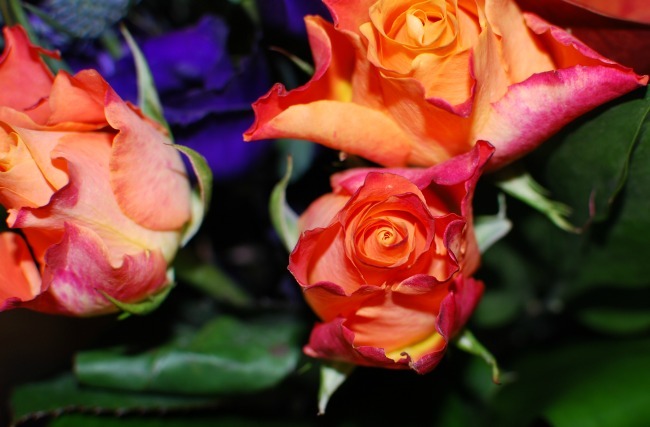 I loved these flowers, they look luxurious and have a very faint scent from the roses. 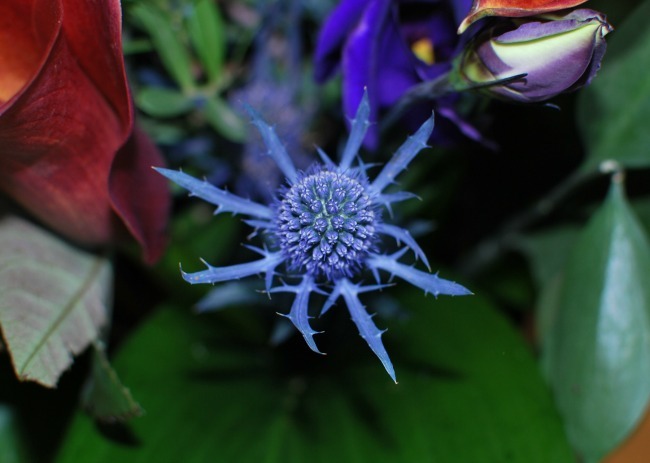 The CallaLilies are beautiful and are offset by the blues of the thistles and campanulas. These would make a perfect gift for any occasion. 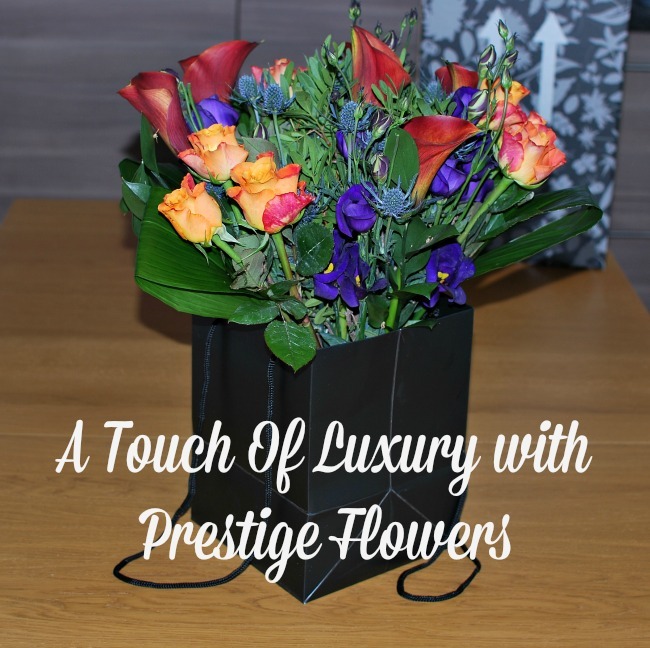 The Tekal bouquet is from Prestige Flowers luxury range and come with free chocolates and in three sizes, prices are from £34.99. The vase is extra and cost £5.99.